So says Antonin Teisseire, winner of Event #50 at the 2011 WSOP. Presumably that means he doesn’t turn up when the biggest party of the year is on. Poker is his game, however. The French pro has been hustling cards for 25 years and his corpulent frame suggests he’s enjoyed a large slab of the finer things during that period. Although he proclaims himself a Five-Card Draw expert, Event #50 was a $5,000 Triple Chance No-Limit Hold’em tournament. A relative newcomer to the World Series, the triple chance format divides each players starting stack into three. At any point during the first four levels you can cash in your lammers for more chips. Some players choose to wait until they’re in need of a rebuy while others cash them all in for a head start early on. A grand total of 817 players signed up for this high buy-in event, with a number of well known names making it into the money. Josh Arieh (69th), Alen Bari (64th), Vitaly Lunkin (28th), and Barry Greenstein (27th) all left with a profit. Going into the final table, many poker fans were hoping that Eric “E-Fro” Froehlich would win his third career bracelet. The former Magic: The Gathering professional already has titles from $1.5k Limit Hold’em and $1.5k PLO tournaments. Froehlich exited the event in fourth, just shy of making his dream a reality. Adam Geyer was the next to exit, leaving Darryl Ronconi to face off against Teisseire. Both players began with almost even chip stacks, but it took only a 1.5 hours to separate them. Fans tuned in from around the world to watch live coverage of the final moments. The final hand saw and all in from Ronconi and a call from Teissiere. It looked like easy street for the Frenchman, who was dominating with his A-8 against Darryl’s Q-8. However, a Queen on the flop quickly changed his tune. It would take runner runner hearts to complete Teissere’s 4-card flush draw and gift him the Event #50 bracelet. “I have a lot of friends. I love to eat! I love to drink! I love to live life! And I don’t like to work,” he was heard shouting as he celebrated with his raucous cheering section. Antonin became the fourth French player to win a bracelet this year and only the eight Galic WSOP victor ever, joining the likes of Bertrand Grospellier and Fabrice Soulier. People around the world were stunned when they learned that Phil Ivey filed a lawsuit against Tiltware, known for developing the Full Tilt Poker software. Widely regarded as the best poker player in the world, he is claiming $150 million in damages for tarnishing his reputation. There have been major problems with Full Tilt ever since the indictments back in April. Their recent worries come from the issue that their American players have not been paid back despite reaching a so-called agreement with the US government. PokerStars players were paid back weeks ago, which makes the situation even worse for this site. In Ivey’s opinion, the manner in which the site’s problems have been dealt with has not been satisfactory. In addition, he has said that his “name and reputation have been dragged through the mud” because of “inactivity and indecision”. In support of his efforts, Ivey will not be playing any WSOP events this year. He brought up the fact that since many Americans have money trapped on Full Tilt, they are unable to compete in WSOP events. Since so many fellow Americans can’t take part, he feels that it would be wrong for him to participate. Full Tilt was very quick to release a response to the accusations. They labelled Ivey’s statements as “sanctimonious” and his lawsuit as “meritless”. They claim that his actions are selfish and that he actually owes money to the site. In addition, they state that his lawsuit is hindering their progress when it comes to paying American players back. Almost all the Full Tilt pros have held back their comments on Black Friday. People have heard from Tom Dwan, however. He showed support for his site by promising to relinquish 100% of the cash that Full Tilt gave him if American players don’t get receive all of their money back. Since he made this promise, he feels like it is fine for him to play in the WSOP. He thought Ivey’s statement was “awesome” according to this Twitter feed, though. It is difficult to figure out who is wrong and who is right in this situation. Interested parties will just have to see how it turns out in the end. Thousands of players everyday continue to play on Full Tilt, and cashouts are perfectly normal in other parts of the world. 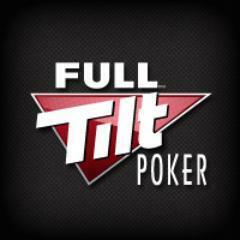 UPDATE: Full Tilt has since been purchased by PokerStars and re-launched. You can read our review of Full Tilt here.